Here are a few things that I’m loving lately/have my eyes on right now! 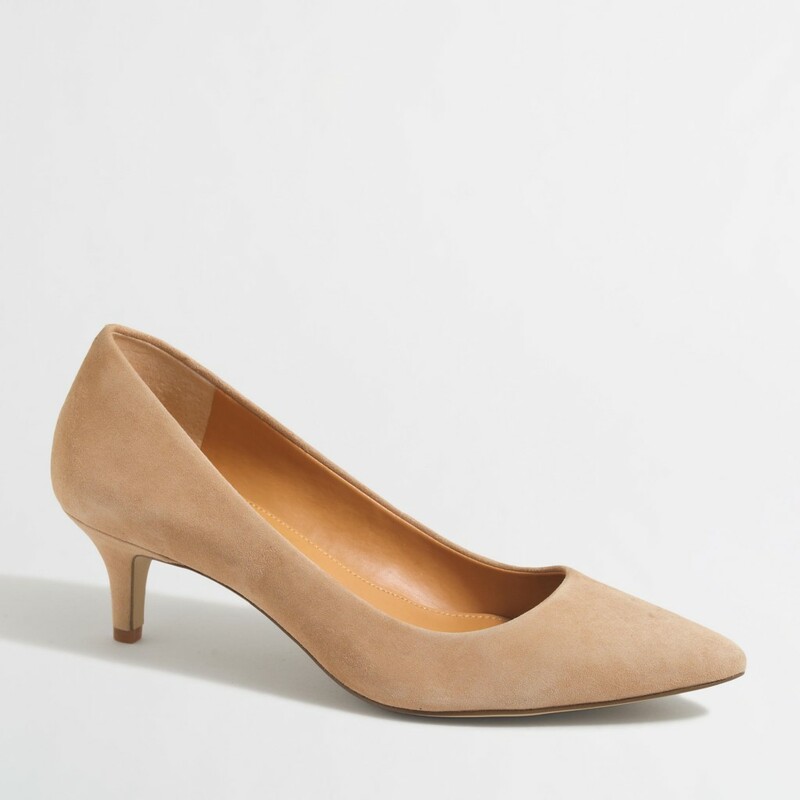 These kitten heels are the perfect height, especially for a Mom. Chic, yet practical. I can see wearing these well into the Fall. They come in a pretty pink and classic black, too. I really love this necklace. I love the combination of the pink, white and black beads. The tassel top is just plain fun, too. I would wear this with almost everything in my closet. You can never have too many LBD’s or LWD’s. I really like the eyelet sleeve detail on this one. A great date night dress. And, it’s on sale! As a busy Mom, I want to look put together, but things have to be comfortable too. 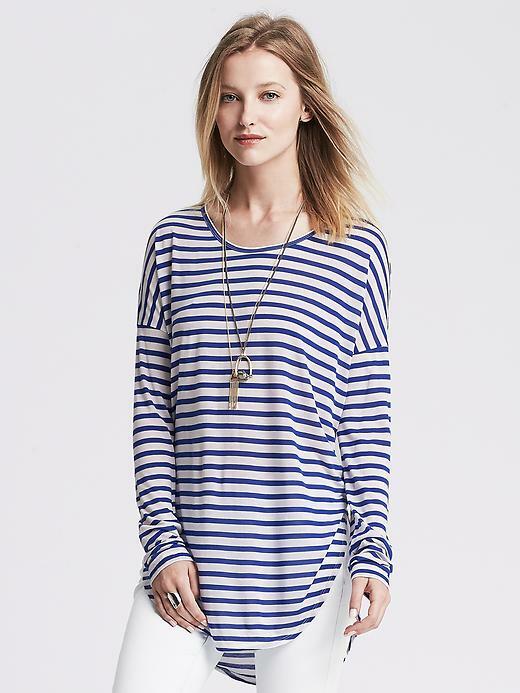 This stripe top would look great with shorts, white jeans or regular denim as well. 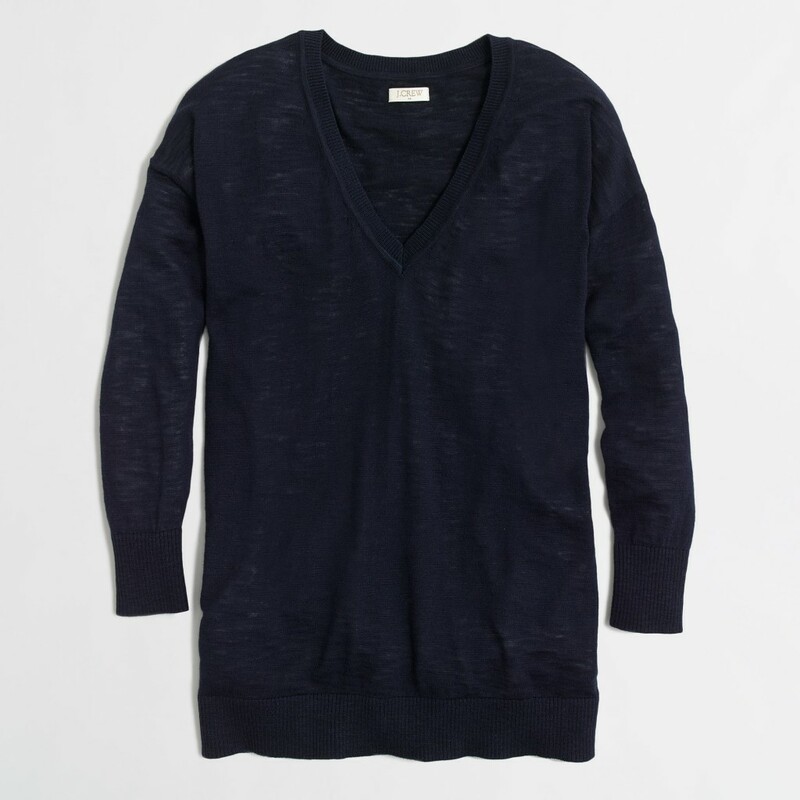 A v-neck sweater. I love this navy color (comes in several colors), and it’s perfect to transition into Fall. Can you tell what season I’m really shopping for these days? Fall. I’m sure it’s no surprise to you by now that I love pearls. 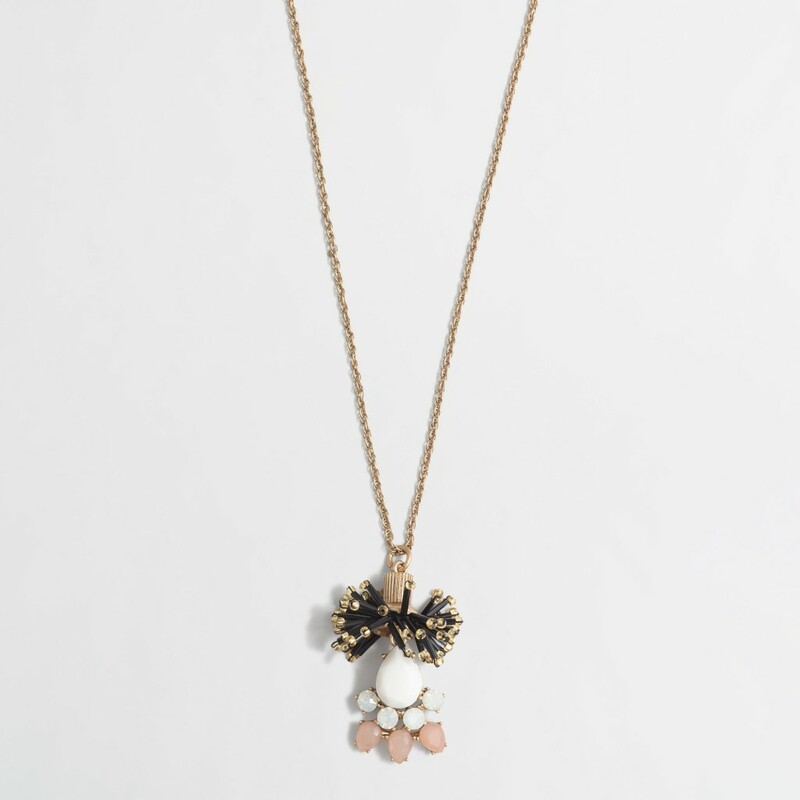 This necklace has been on my list to add to my collection for far too long. 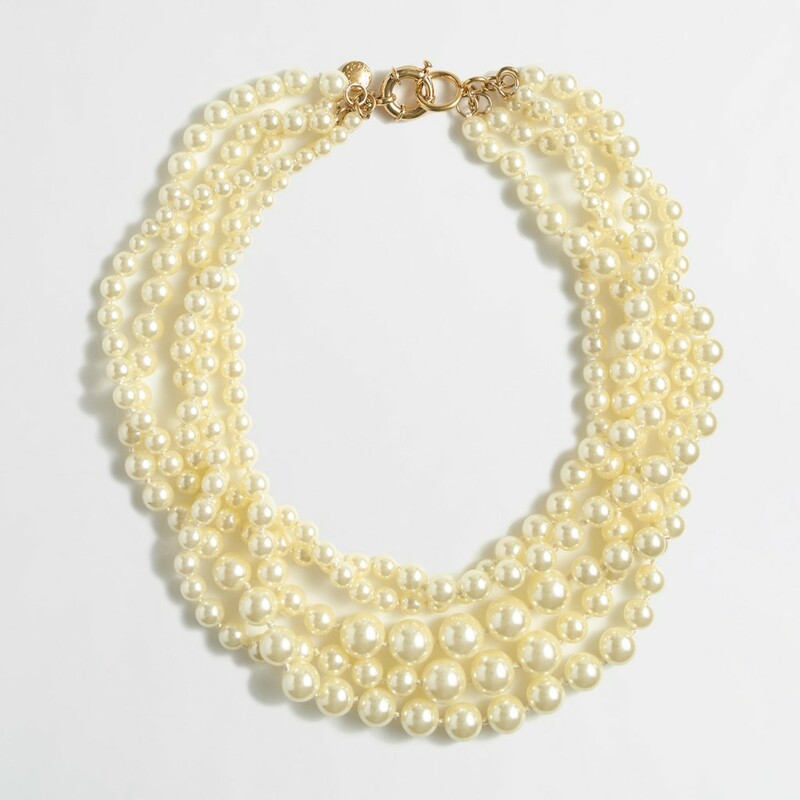 My incredibly stylish Grandmother passed down her pearls to me that I adore and wear on very special occasions, but this necklace would be a great everyday option that I didn’t worry about as much. Plus, this necklace is on sale, too! This camisole is so comfortable and chic worn alone or layered underneath a blazer or cardigan. I have it in cream, but I’m thinking about this pink color now. These would be great year round in your closet.